It was a very long search, one year and a few months, to be precisely, but finally I found the perfect dungarees for me. They´re from Topshop and I must say they are as comfy as they look like. 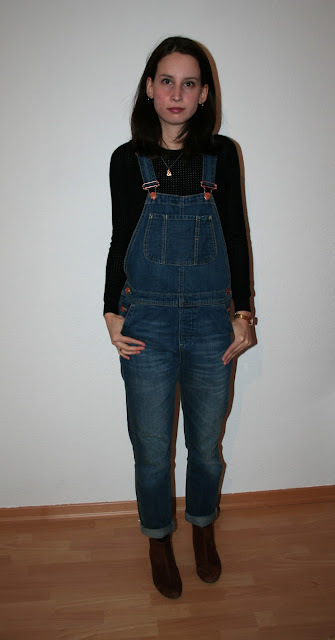 I think this is gonna be my dungarees-summer, because after I´ve ordered the Topshop ones, Monki reduced a nice pair of lighter, short dungarees and now they are also mine. Happy girl for yet.